I swear. If you put ketchup on that Labor Day hot dog, I’ll find and you and— Oh, hey! Didn’t see you there. Happy Tuesday to you. I hope that you had a nice mustard-covered-hot-dog-filled Labor Day. Me? 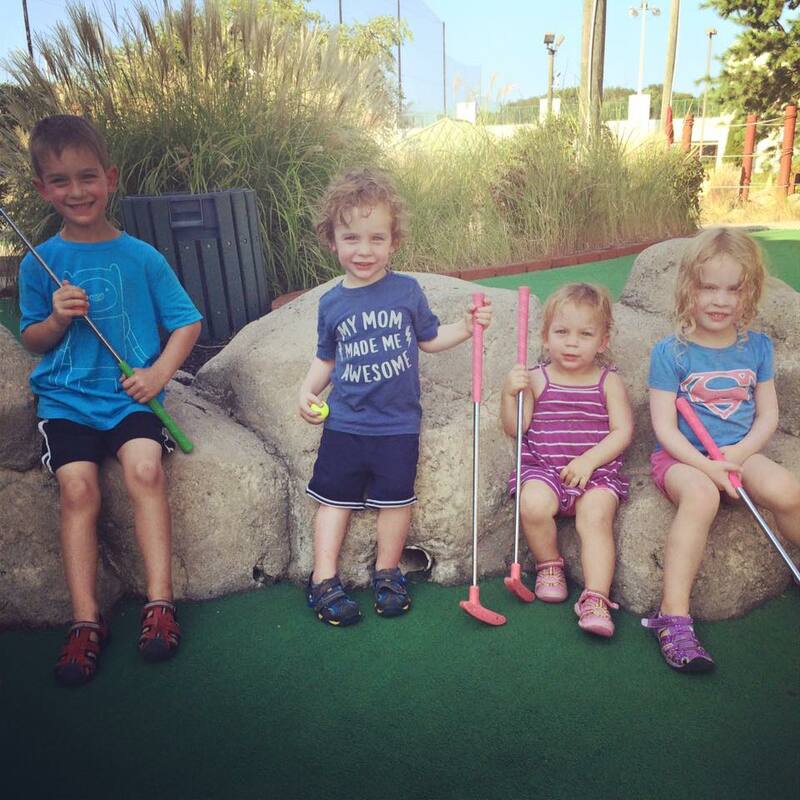 I forgot how bloody awful it was to spend hours in blazing heat miniature golfing with four kids. I was pretty sweet, I tell you. But, did you see the news yesterday? President Obama signed an Executive Order requiring federal contractors to ensure that employees on those contracts can earn up to 7 days or more (56+ hours) of paid sick leave annually. Categories of paid sick leave. caring for a child, a parent, a spouse, a domestic partner, or any other individual related by blood or affinity whose close association with the employee is the equivalent of a family relationship who has any of the conditions or needs described above. The fine print on paid sick leave. Paid sick leave can carry over from year to year. However, an employer does not have to pay out accrued leave when an employee separates from the company. Recognizing the greatness of this blog, President Obama wants you to make that check payable to me. Employees must give at least 7 days oral or written notice, except when not practicable. And, the employee only needs to provide a doctor’s note if he/she misses three or more consecutive days of work. Plus, there is no “undue hardship” defense available to the employer. Specifically, the use of paid sick leave cannot be made contingent on the requesting employee finding a replacement to cover any work time to be missed. Finally, if the state or city in which you operate has a more generous paid sick leave law, that law trumps. You’ve got until 2017, but don’t wait too long to update your policies. Many employers already provide paid sick leave to their employees. In his story at the Huffington Post, Dave Jamieson cites BLS data indicating that 61% of private-sector employees already receive paid sick leave. A White House Fact Sheet indicates that this Executive Order, which will go into effect in 2017, will provide paid sick leave to an addition 300,000 employees. This Executive Order comes on the heels of impending overtime changes to the FLSA regulations, which is designed to increase compensation paid out to employees making less than $50,000. Many believe that these changes will take effect in 2016. So, pretty soon would be a pretty good time to review your policies and procedures and prepare for these changes.